NASA researchers have finally found the answers of the mysterious spider-shaped features in the red planet Mars. Images sent from NASA’s Mars Reconnaissance Orbiter spacecraft were being studied specifically the growth of the spidery feature in the red planet’s terrain, from one Martian spring to another. According to the space agency, the spiders range in size from tens of hundreds of yards, with multiple channels typically converging at a central pit that resembles the legs and body of a spider, News reported. 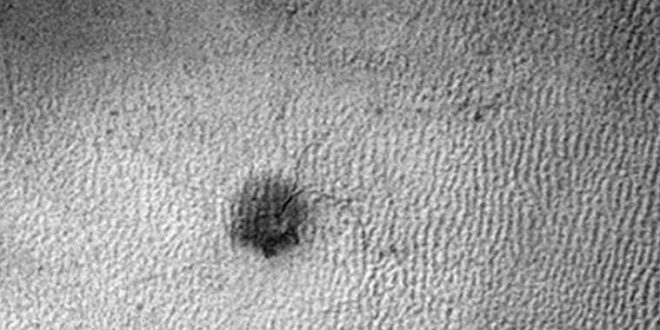 Scientists think that dunes may be a factor in the formation of the baby spiders, but may also keep many of them from becoming full-scale spiders. In a paper published in the journal Icarus Portyankina and her co-authors estimated that, based on the growth rate of the smaller troughs, it could take more than a thousand Martian years to sculpt a typical spider. A Martian year lasts about 1.9 Earth years. “Much of Mars looks like Utah if you stripped away all vegetation, but ‘spiders’ are a uniquely Martian landform,” said Candice Hansen of the Planetary Science Institute, Tucson, Arizona, a co-author of the report, in the statement. The spidery terrain is at the red planet’s south pole. Carbon dioxide ice or “dry ice”, which occurs naturally at Mars’ poles in winter, helps create the spiders. Spring sunshine warms the ground underneath the ice, causing some carbon dioxide to thaw into gas, which bursts out of the ice and erodes the ground. The red planet’s surface continues to be a source of fascination for scientists. Earlier this year NASA released an image of dunes on Mars that bear a striking similarity to Morse code.